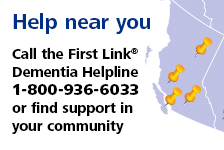 Children, teens and dementia | Alzheimer Society of B.C. Are you wondering how much you should say? This tele-workshop for family caregivers explains what children and teens need to know to better understand dementia and offers suggestions on how to help them interact with the person.